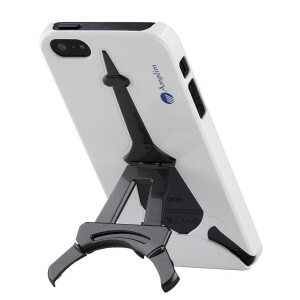 Eiffel Tower iPhone 5 case that also functions as a stand with the base of the tower folding out. A very nifty item for people who love France or just those interested in an eye-catching and interesting case. Basically it is a combined case and stand, so a nice overall item and somewhat unique. The case comes in five colors: Blue, White, Orange, Purple and Red. Protects the case against scratches, bumps and cuts. It features cutouts for all your gadgets and the camera, which is typical but the odd case lacks it. The case is made of environmentally friendly materials. Made specifically for the iPhone 5. To start with the look of this case is simply beautiful. The paint job is very nice with a clear opting for metallic paints. 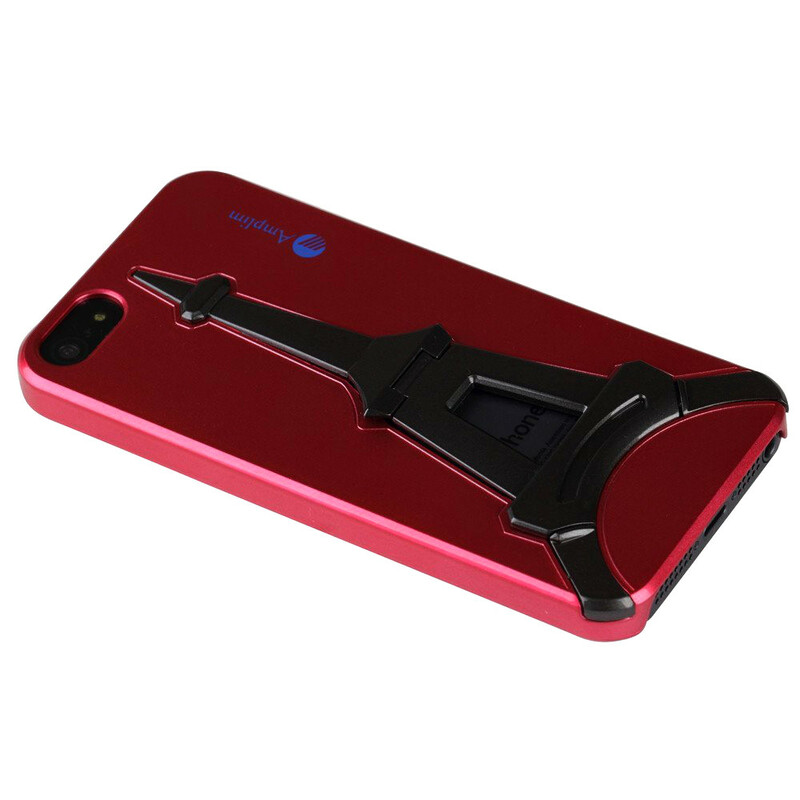 Furthermore, the choice of colors is a little less in your face and a little more classy than the typical iPhone case which is suitable for the type of people that tend to love French culture. It is simply an elegant case. The Eiffel Tower stand itself folds out so that the legs support the case at a slight angle which is useful if you want your iPhone to stand up when you are using your computer or if you like watching movies and such on your phone. The stand itself basically clips into place so does not really fall out of position. A very nice item overall and definitely a nice gift idea for Francophiles. If there were two potential issues with the case they would be that the stand could clip in even more tightly than it does to prevent slip outs. I suppose this would also cause problems with the stand being difficult to remove but likely worth it all the same. The second issue is that it has quite a restrained color scheme. While I personally like the restrained use of colors the general trend with iPhone cases is for them to be in your face and the lack of contrast in the color scheme can make the Eiffel Tower stand out a little less than it might. 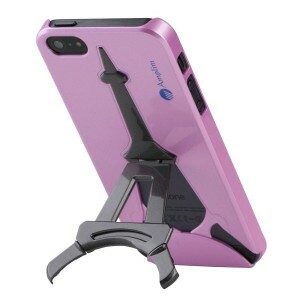 The short version is that it is a nice combined stand and case for the iphone 5.